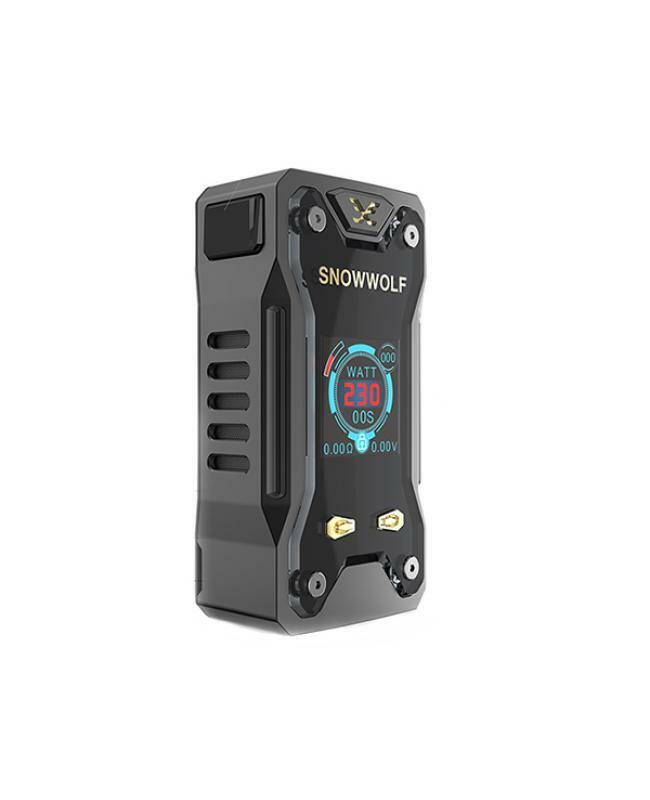 Newest snowwolf Xfeng vape mod by Sigelei company, made of high quality zinc alloy material, only black color available, the new snow wolf mod with persistence of the vigorous design, representing the wolf temperament, stylish front, and back panels, reflecting the zodiac constellation. 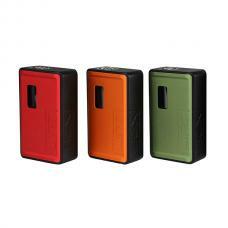 the Xfeng mod powered by dual 18650 batteries and max output 230watts, it supports temp control with NI200, TI, and SS vape wires, the preheat function and three different power modes for your personal preference. 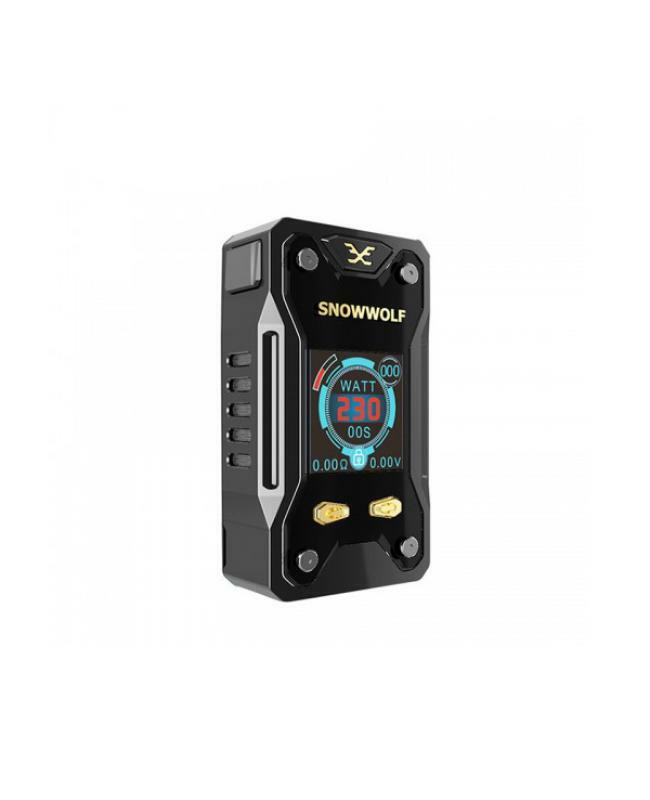 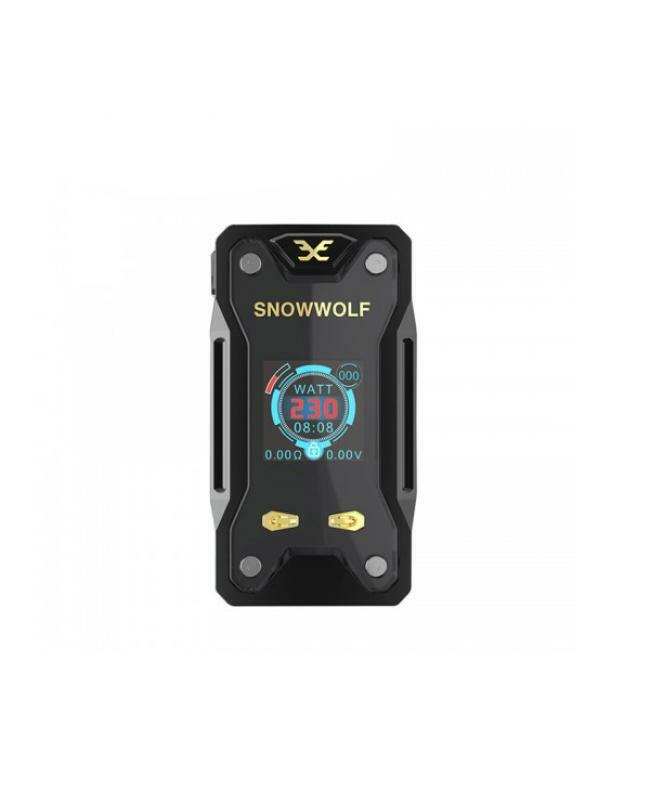 the snowwolf Xfeng adopts one 1.3inch TFT screen, and easy to read user interface, recommend works with TFV12 prince, ijoy avenger, fireluke tanks etc.